Legacy systems for government workers are often clunky and inefficient. Fortunately, with new features and updates from Office 365 Government, personnel get access to the latest technology and software with the ease and intuitiveness of a home PC Windows system. That allows government employees to be much more productive while at the same time working in a secure and customized environment. There are several new features that have helped personnel get even more out of their jobs and even more for the people and government they serve. Microsoft has announced that the “Microsoft Teams” functionality will soon be incorporated into Office 365 Government for subscribers. This feature provides a platform with access to messages, Skype calls and meetings so that everyone can be on the same page within their specific groups. It is similar to the functionality of Slack which is currently also only available in the private sector. Their is a constant running conversation, an ability to schedule meetings and calls as well as engaging directly in those calls through Skype. Teams can be formed and abandoned fluidly as needed. Once Microsoft Teams rolls out to all Office 365 Government users, forming small working groups that can instantly communicate, share call and discuss will be greatly enhanced. Whether the team is based at the same site, whether they are home-based employees or just on the other side of the building, the Microsoft Teams feature makes the group more cohesive and productive. Office 365 Government users are also getting access to powerful new cloud-based analytics tools. In particular, the PowerBI and HDInsight data tools are extremely sophisticated yet user friendly ways to analyze large amounts of data quickly. These tools leverage the Azure cloud in a secure environment to access massive computing power and quickly determine results. For example, if you are a state or federal environmental department, you may be examining millions of water acidification readings to determine the state of the bodies of water in your jurisdiction. Using a simple Excel spreadsheet or legacy system with basic data tools can make this process take days or even weeks. The power of the Azure cloud and distributed systems like the PowerBI and HDInsight data tools reduces this task to a few minutes or hours. Employees are more productive and the department saves both time and money. 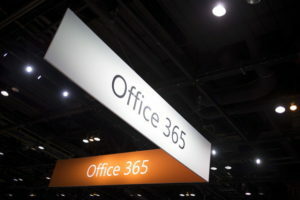 Office 365 Government has also begun to integrate voice and facial recognition software into its data pack. These additional features have never been common tools is Office for personal or business use. However, intelligence, security and traditional safety personnel in the government will love this feature. It allows them to narrow down suspects or cull people that can be eliminated as suspects. Using this software, employees can match surveillance video to existing images and quickly come to a conclusion. Of course, it accesses the power of the cloud to crunch a massive amount of data in a short amount of time, just as the PowerBI and HDInsight tools do. Implementing the Office 365 Government system takes time, care and customization. Many agencies prefer to outsource this work to specialists who have perfected the implementation process and can do it with less time and effort than the in-house IT staff. IT consultants can tailor the product to the specific needs of the department and even individual employees. At the same time, they can be sure they are working in a secure environment that upholds the necessary compliance and security protocols.